Next up was a stop at a government building to hear about the campaign for Jeju to be voted as one of the "New 7 Wonders of Nature". We headed down to a basement conference hall, vitamin c drinks were thrust into our greasy little hands and we met 강성후 - head of the task force for the Jeju New 7 Wonders campaign. November 11th is decision day (voting ends November 10th), so if you want to vote for Jeju, then you don't have long to do it. You can find all the details on how to vote by phone or on the web on the above link. 3. Jeju is the only East Asian candidate among the 28 finalists. Its selection will boost the image of East Asia in the World. 4. 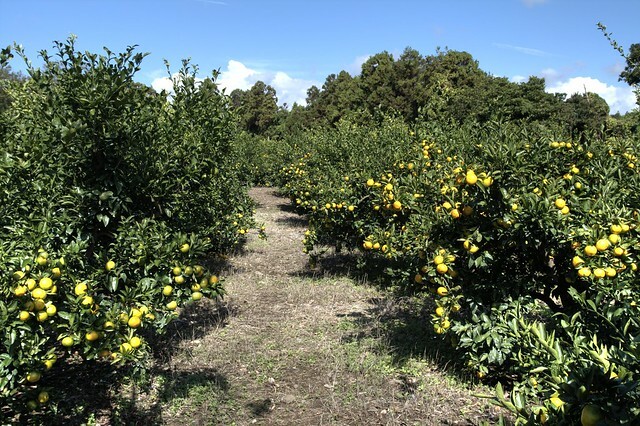 If selected, Jeju will contribute greatly to the preservation of the environment as a capital of Environmental Protection. 5. Selection will lead to an increase in global tourists to Jeju and neighboring East Asian tourism sites." It was interesting to hear 강성후 talk about Jeju, he and his team are obviously passionate about the island and about winning votes for Jeju to make sure it comes within the top seven. I really hope it does, as it could give Korea and Jeju a boost in tourism and recognition (Plus they've promised to make me an honorary citizen of Jeju if they win!). 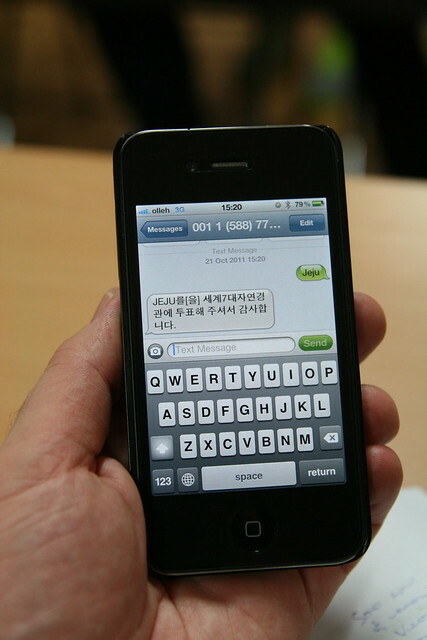 You can vote on the web or by phone, but if you live in Korea you can also text your vote. 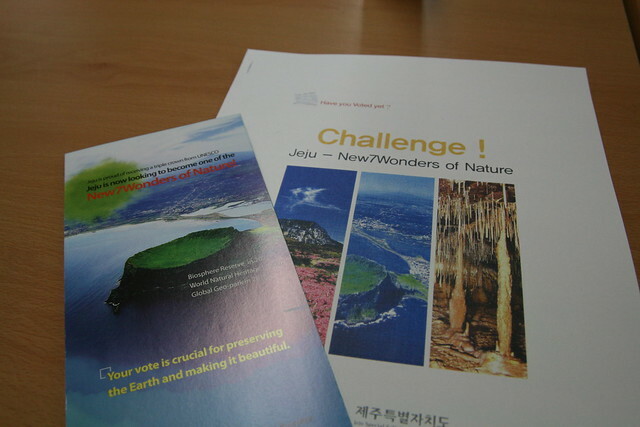 Send a text message with the word "Jeju" to 001 1588 7715. It costs about 150 won per vote (at least that's what they told us). I asked 강성후 what he thought was the most beautiful part of Jeju. He chose the Yongcheon cave, unfortunately that wasn't on our schedule... We left him and his team to keep on campaigning and made our way outside into the wet and windy Jeju weather for the next part of our trip. In the interests of transparency I should tell you that my trip to Jeju was kindly paid for and provided by Korea.net and KOCIS, but all views expressed in this post are entirely my own. 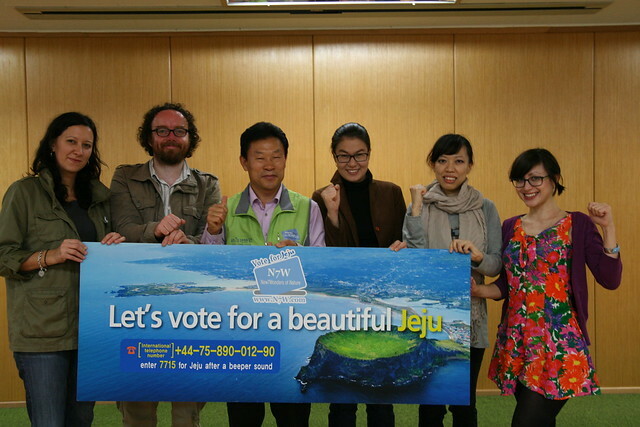 Vote for Jeju! Go on, you know you want to!